Learn the Art. Speak Your Truth. Share Your Voice. Offering a variety of advice for tapping into your creative voice, sharing your work online, and honing your writing skills, You/Poet shows you how to express yourself creatively through the art of poetry. You may think that writing poetry requires a specific set of skills. You may have read books on writing poetry that were stuffy and full of strict rules and regulations. But You/Poet proves that all you need to be a poet is the desire to share your inner thoughts and emotions with the world. Let HerHeartPoetry—an online poetry community, Instagram, digital zine, and poetry press—take you on a journey of self-discovery and surprise, and show you how to embrace the world of writing poetry with arms wide open. Writing poetry is an act of bravery. It’s just you, your thoughts and feelings, and the words you choose to express them. You/Poet can help you do just that. With encouragement and advice on poetry writing basics, how to identify your unique creative voice, and prompts and exercises to help you channel your thoughts and emotions through writing, this all-in-one guide will help you share your talent with the world. Rayna Hutchison is the founder and creator of Her Heart Poetry, an online poetry community, digital zine, and now poetry press. The digital community @HerHeartPoetry is one of Instagram’ s fastest growing online poetry accounts, and the zine, HerHeartPoetry.com, attracts thousands of visitors a month. Since her love of poetry began when she was a teenager, Rayna has written numerous original pieces of work, is a published poet and writer, and a passionate poetry junkie. As curator of @HerHeartPoetry on Instagram she has made multiple connections with new and experienced poets, both published and unpublished from all over the world, and demonstrated her commitment to helping others make the most of their poetry journey. "These two well practiced and dedicated poets have created You/Poet, which will help you to grow your creativity and find your voice as a poet. You/Poet is something that anyone who has ever been interested in being a poet [can use to] test their creative skills. The exercises can allow you to indulge in meditative thinking and freely open word association. You/Poet is also a book that can be enjoyed by readers of all ages, and could even be used as a resource for those who teach English or poetry for their students." "A tremendous gift to writers everywhere. In other words, if you want to be a poet, this book is for you. 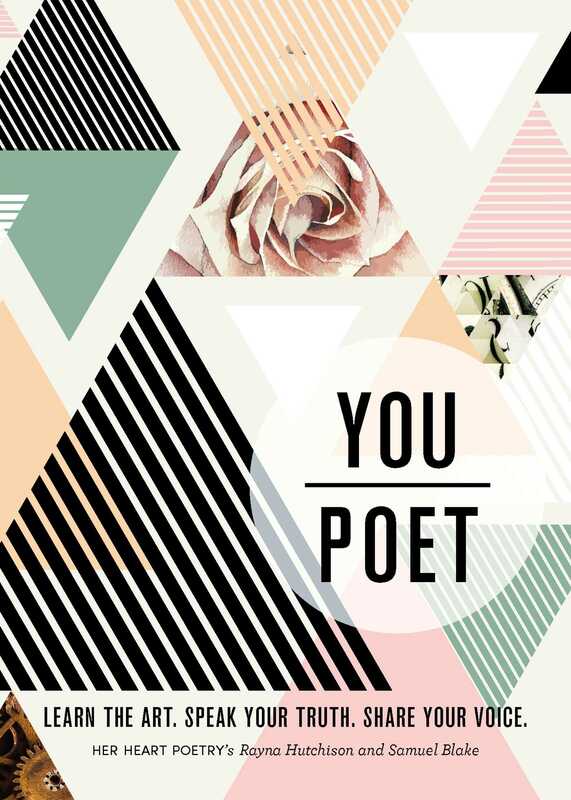 Everything about YOU/POET is wonderful and is exactly what an aspiring writer needs. Unlike many other books, YOU/POET isn’t just theoretical. It is practical and tangible. Frankly, I wish I had this book years ago. I can’t recommend YOU/POET enough and am thrilled that HER HEART POETRY jumped on the scene to foster community."